Two articles written by Mr. Ray C. Stedman, and recently published in so-called fundamentalist literature have bees sent to us for our examination and appraisal. They are entitled "True Separation" and "The Christian and Worldliness," and as they have much in common we shall consider them together. 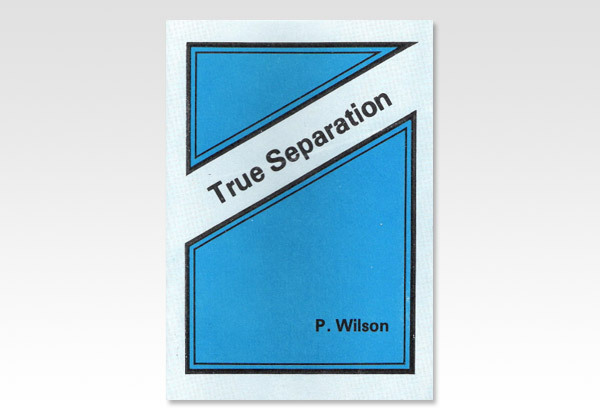 These articles do contain a certain amount of truth, but it is far overbalanced by the neglect of important scriptures, the misapplication of others, and a slanting of truth generally, thus producing a very insidious line of teaching that will undoubtedly undermine true separation. They advocate a definite mingling of Christians with the world in an adventuresome sort of Christian heroics which dares defilement. This is bolstered by reference to the Lord Jesus in the days of his ministry eating and drinking with publicans and sinners. This He surely did! He came to seek and to save that which was lost. He came to heal that which was sick, but not to call the self-righteous who in their own eyes needed no repentance.